AutoInstruct » Under The Hood » The all-new AutoInstruct track-hack! Here at AutoInstruct we love trackdays, we also love the cars we’ve poured time, effort, money and love into remaining in one piece. To remove the risk of damaging our beloved personal cars we came to the conclusion that it was time for a company track car, immediately we began scouring used car ads for the right car to meet our needs. The criteria we decided on for our car: something cheap, manual, fun to throw around a track, an undamaged engine, a straight body and something different to what we all already owned. After looking at MR2s, RX-8s, Silvias, old GTIs and a myriad of other cars we came to an agreement on the perfect car for our collective needs – a BMW E46 3 Series coupe. 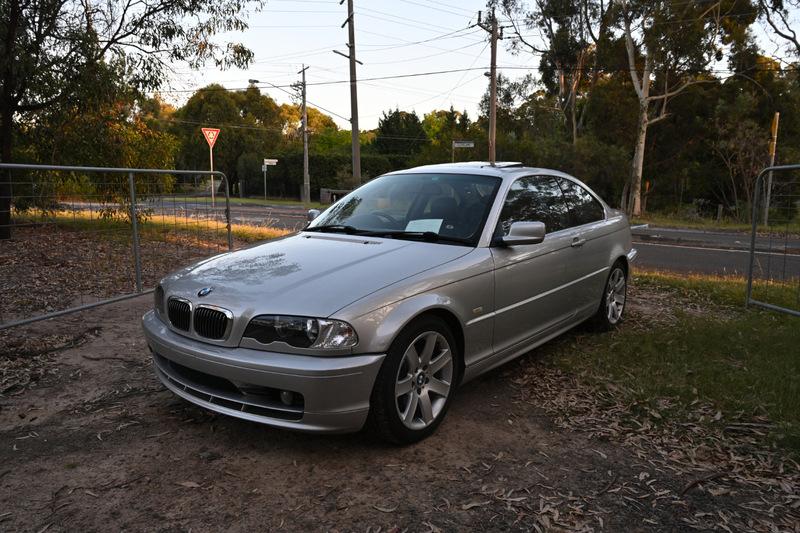 RWD, cheap, not hard to find in manual, superb engine, the E46 was the perfect choice. Our example of the E46 3 series is a 2001 325ci finished in a fantastic (for now) titan silver. While the interior and exterior has seen better days, the powertrain is running surprisingly strong even with 230,000km on the clock – just past the engine break-in period. The engine in question is a 2.5L inline 6 and boy does it sing, or rather it will once that pesky resonated OEM exhaust is dealt with! 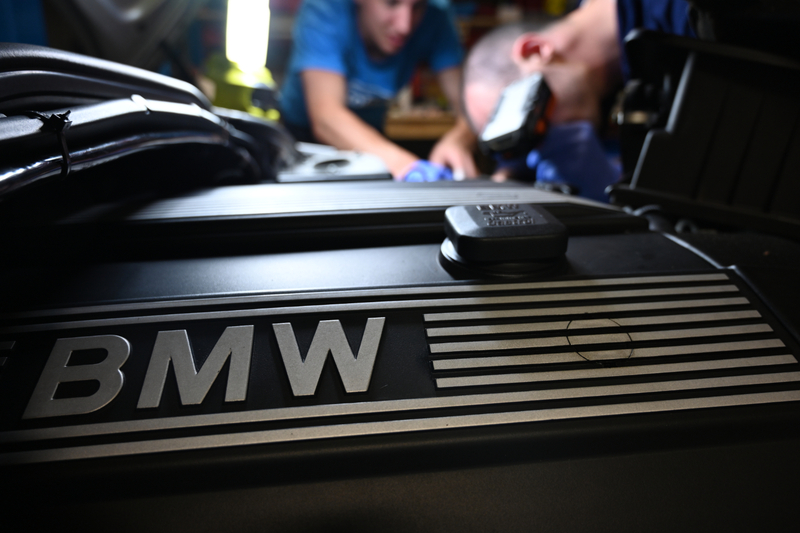 Despite the reputation BMW has with some of its newer turbocharged cars, the E46 chassis and the M54 series of engines are known to be relatively strong. 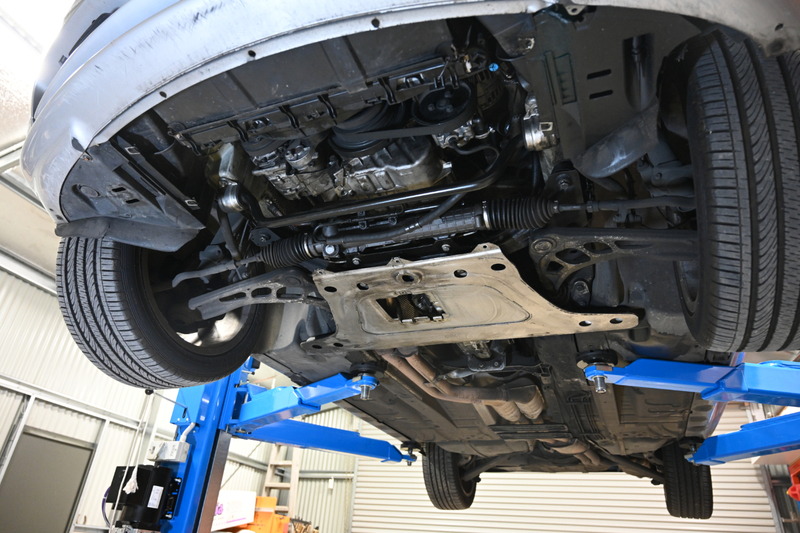 The main weak points of the car is cooling system which is prone to failure and the dreaded subframe cracking which is a more serious and expensive issue to repair. Many E46 cars are plagued by an issue where the chassis begins cracking at the rear subframe mount points, the only solution is welding in new plates over the cracks – a costly exercise. 2 cans of degreaser later and there is no leak! Once we had all had our fun driving the car in its stock condition, we sent it straight to the hoist for a proper inspection. Luckily the car is mechanically in quite good condition, no visible rear subframe mount point cracking is present (phew! ), we did find a sizeable steering fluid leak that would have to be dealt with though this won’t be a difficult task. Before the car sees the track we will of course perform a full fluid and filter change along with brake pads, discs and tyres – always a good idea when you buy any used car you don’t know the full history of! The plan for this car is for it to remain unregistered, stripped out and ready to be thrashed around a track. 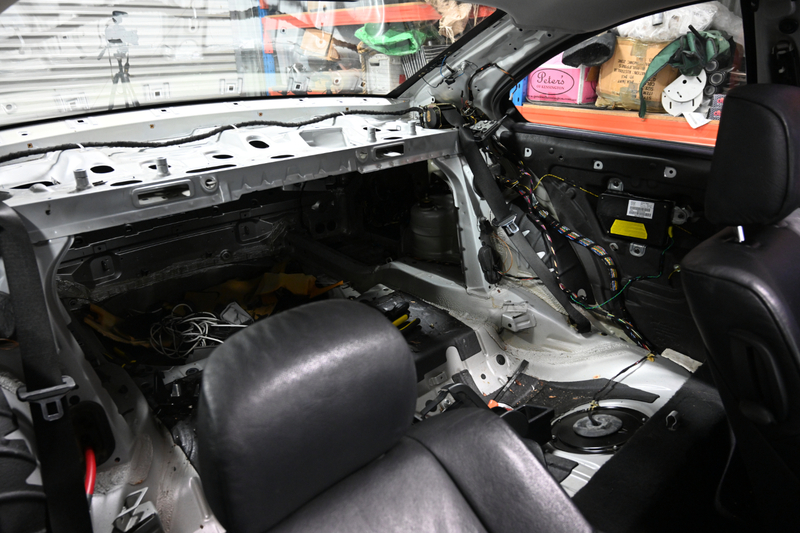 Following our mechanical inspection we began began the first step of preparing the car: stripping as much unnecessary weight out of the back of the car as possible. Bootliner, spare wheel, rear seats, rear carpet, rear-half of the centre console, pillar and side trim, parcel shelf and audio system were all removed without hesitation. In 1 session of work 100kg of weight was removed from the rear of the car, a success! While the intent is for the beamer to remain mostly stock, its hard to resist the allure of shiny stainless headers, bucket seats, 4-point harnesses and a deep-dish steering wheel. The next stages will involve removing the rest of the audio system, the aircon, a full-service and getting some rubber on the car that will fit the use of the car. Ultimately we don’t know what will happen with the 325 build but we’re excited to work on it so stay tuned for the full series!